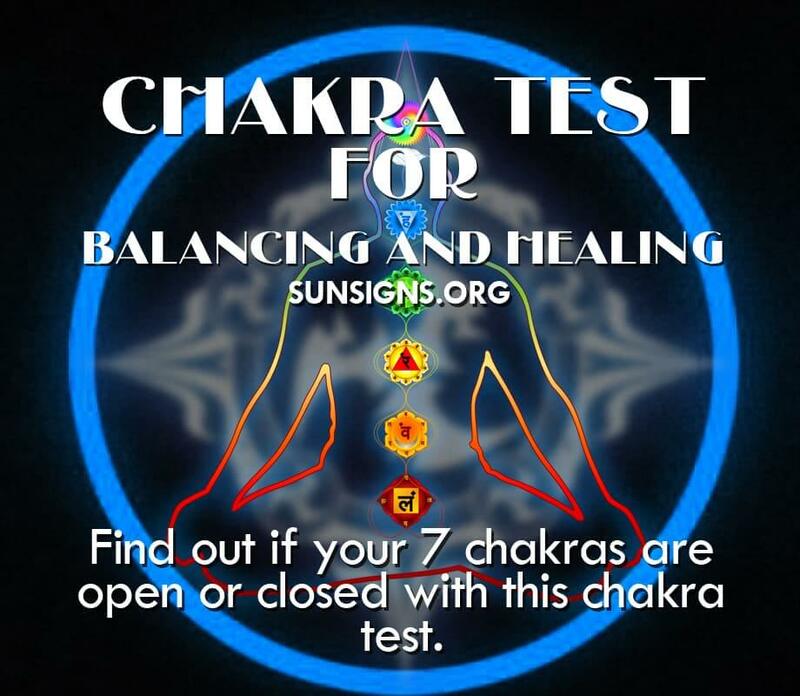 Have you taken the chakra test? Are your chakras open and balanced? Are all of your chakras working in perfect order? Is your life perfectly balanced? If you are feeling blissful, and all is well in your peaceful world, then maybe the answer is yes! However, it’s likely that you seek to improve much of your life. What are chakras? How do they predict your life? You can get a report on the state of your chakras. Chakras are energy centers within your body that allow cosmic energy to flow through you. When they are in perfect balance your life makes sense. Just as a growing tree in a field makes sense of how it is living, how it gives and receives within life, you can become the same. You can become a perfect being in life. You can become a creature that makes sense and knows it too! There are seven “main” chakras that have different functions. Some people can have only a few chakras that appear to be working perfectly, while the other chakras are off balance. Balance is the key. Have you ever known someone who had a big heart and great relationships with the people they meet. Yet their home life was upside down, like living in the “slums”. Have you ever known someone who displayed great leadership abilities and was respected and followed by many, yet had serious issues of anger and jealousy? Some people may display clairvoyance and suggest they have a strong relationship with the divine, yet have much difficulty holding a normal job to care for their physical needs. How can we achieve balance in our lives? It starts with balancing the strength of the chakras. Before you can balance your chakras and therefore balance your life, you will have to be able to test what the strength of each chakra is at the moment. You can find out which chakras needs the most attention by analyzing where in your life you feel the weakest by taking this free 7 chakra test. Does most of your suffering come from having a hectic home life? Is your living situation out of control? If so, then your root chakra is in the most need of becoming balanced. Are you always feeling fearful and weak in a group situations? Is it hard to get people to listen to you because you are too shy? Then it is your solar plexus chakra that is in great need of nurturing. These are just a few examples of how unbalanced chakras can influence how you perceive your life experience. You can change and strengthen your life by strengthening and balancing your chakras. It’s actually as simple as taking the first step of taking the Chakra Test. How To Do Read Auras?